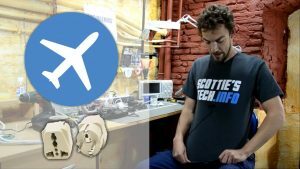 Everything you need to know about powering various electric and electronic things when traveling internationally. Plug adapters, voltage ratings, transformers, and all that jazz made simple! Note: My audio recorder ate the good sound 🙁 so I’m afraid we must make do with highly-processed Backup Audio this time. Always have a backup! Anyhow, watch the video below. Nicely done. It’s all good advice. I’d just like to add a note on hair dryers. Many are dual voltage and will work in other countries, but they will run only on low. The switch to change the voltage blocks the settings that should not be used.